Aiight…let me get this straight. 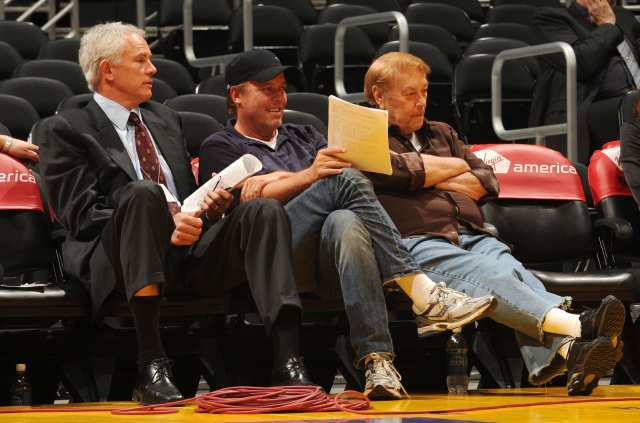 The L.A. Lakers hired Mike D’Antoni OVER Phil Jackson…word?!?!?! First things first, let me put this out there from the door…I’m not a Lakers fan. In fact, I HATE the Lakers. To me, the Lakers are the NBA’s equivalent of Duke basketball...and I have NOTHING but hate for the both of ‘em. 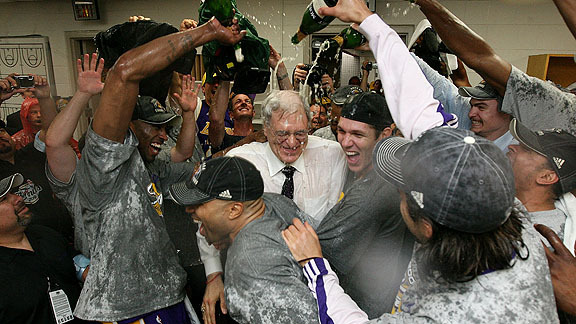 So you can only imagine the excitement I felt win I woke up yesterday morning to see that the Laker’s hired Mike D’Antoni and not Phil Jackson, which basically guarantees me (and the fellow Laker/Kobe haters of the world) that there won’t be another NBA championship coming to the Lakers during the rest of the Kobe Bryant era. Why do I hate the Lakers so much you ask? Well, I fell in love with basketball on Tuesday, June 21, 1988 when the Detroit Pistons lost to the Los Angeles Lakers in game 7 of the NBA Finals. Even though I wasn’t a huge basketball fan before this series, I knew about the Laker’s pedigree and their history of championship banners hanging from the Forum’s rafters but I always was the type of dude who rocked with the underdog. So, of course throughout the series I was rooting for Isiah Thomas and the Bad Boy Pistons. And when they lost that series, I’ll never forget, I walked to my neighborhood sneaker spot in Philly “Sneaky Petes” and copped a Detroit Bad Boys Pistons t shirt and EVERYONE was looking at me like I was buggin’ like “don’t you know they just lost?” Yup, I knew it but it didn’t matter to me. I was rocking with the Pistons and all I cared about was the fall of the mighty Lakers empire. So that’s where my hatred for the Lakers was birthed from. And it only grew worse once they traded for Kobe in ’96. But more on my hatred for Kobe later, let’s deal with the matter at hand. So, let’s get this straight, they fire Mike Brown after starting the season 1-5. And as soon as my man text me to tell me that, the first thing that popped in my head was racism. Now I know the average Laker fan couldn’t see past the 1-5 record and race was the last thing on their mind but please let me know the last time something like this happened to a white coach. I’ll wait…but I’ll be waiting for a minute for you to tell me cause it’s NEVER happened to a white coach. And I keep hearing rumblings about how Mike Brown wasn’t a good coach. My problem with that statement is what “bad coach” has taken a team to the NBA finals? Cats wanna say stuff like “well, he had LeBron.” Hell, Phil had Michael Jordan, Scottie Pippen, Shaquille O’Neal and Kobe Bryant to bring him ALL of his chips. 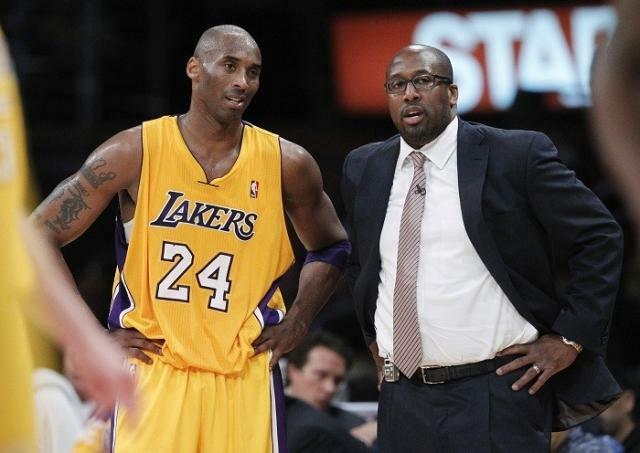 Mike Brown had LeBron James and a bunch of cats you couldn’t name right now if I paid you. So in Wire terminology Mike Brown damn near won the war of West Baltimore against Marlo, Chris and Snoop with just Bodie and a bunch of corner boys, but he’s not a “good coach?” Really? So, the Lakers fire a coach who’s taken a team to the NBA Finals and replace him with a coach who’s never been to the NBA Finals instead of hiring a coach who has won 11 NBA championships…makes perfect sense doesn’t it? 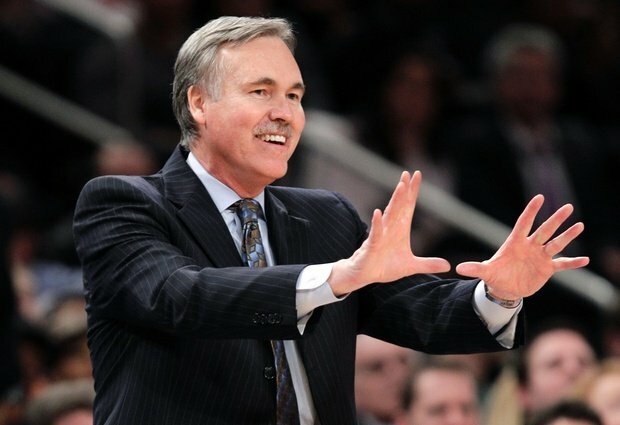 And the bugged thing I keep hearing about Mike Brown is people saying that he was never the right fit in LA and my question is, and Mike D’Antoni is? Didn’t this dude basically get “Mike Browned” outta New York? Not to mention Mike Woodson inherited damn near the same squad D’Antonio had and went 18-6 with the Knicks after replacing D’Antoni last year and this year they’ve got the best record in the league at 4-0. And again, THIS is the dude you hire?!?!?!? I think D’Antoni is an aiight coach at best and I always thought he should get another shot at possibly being an assistant with a big time squad or another head coaching spot in a smaller market but THIS dude gets one of the most prestigious jobs in all of sports? And all weekend any and every sports network was basically saying that the job was Phil’s to turn down and outta nowhere Mike D’Antoni knocks Phil Jackson, thee PHIL JACKSON out the box…come on, what’s REALLY going on?